Amy Kerker, front, leads a small pack through the Wenatchee National Forest at the 2014 Red Devil Challenge Trail Runs south of Cashmere. WENATCHEE — A growing trail run series is among the eight official events that RunWenatchee will be holding in 2015, the running group announced today. 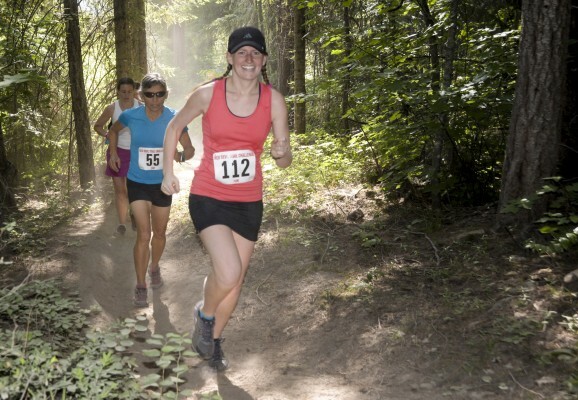 The Volyn Law Wenatchee Valley Trail Run Series includes the Horse Lake (Wenatchee Foothills), Red Devil (south of Cashmere), Dark Side Festival (Mission Ridge) and Oktoberfest Pumpkin (Leavenworth Ski Hill) trail runs. Two of the trail runs — Horse Lake and Red Devil — will be held in the spring; the other two (Dark Side and Oktoberfest Pumpkin) in the fall. All of the trail runs are timed and competitive, with the exception of Dark Side. “After the success we had this year, we looked at how we could spread the Wenatchee Valley Trail Run Series out over the entire year and take advantage of trail running opportunities we have in not only the spring but also the fall,” said Joel Rhyner, RunWenatchee race director. Rhyner said Chelan County offers some of the best trails for running in the entire country. 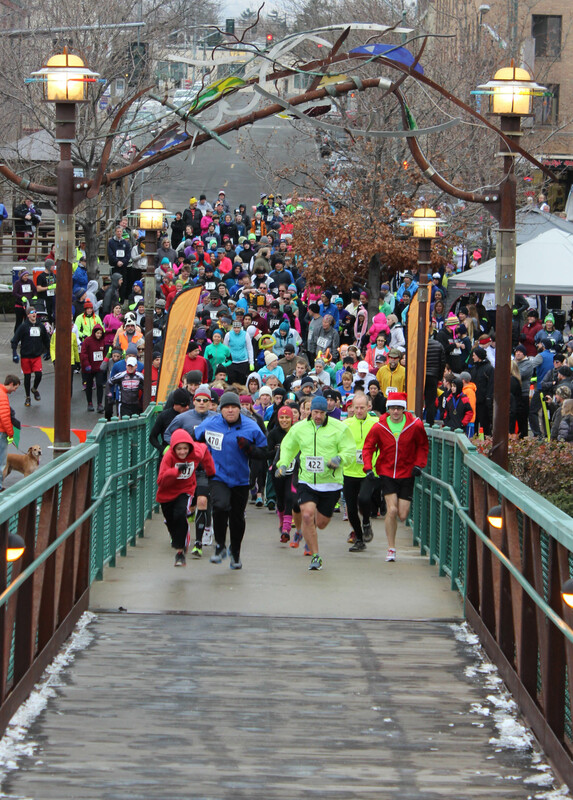 More than 500 people turned out for the 2014 Bundle-Up 5K in downtown Wenatchee. Here runners take off from the start over the Riverwalk Crossing pedestrian bridge. RunWenatchee’s race calendar kicks off with the Bundle-Up 5K Run/Walk and 1K Kids Run on Jan. 24, 2015, in downtown Wenatchee. The event is held in conjunction with the community’s Bundle-Up Festival at the Stanley Civic Center. The Horse Lake Half-Marathon and 5-Mile Trail Runs are next up on May 9, followed by the Red Devil Challenge 25K and 10K Trail Runs on May 31. The fifth-annual River Run 10K and 5K is on tap for July 4 at Walla Walla Point Park as part of the Wenatchee Independence Day Celebration. River Run — one of four races put on in Wenatchee — was previously held in conjunction with the Taste of the Harvest Festival in September. “We saw this as an opportunity to partner with the Independence Day Celebration and bring a run into July, which doesn’t exist now,” Rhyner said. RunWenatchee’s year then wrap ups with a road marathon/half-marathon/10K, two more trail runs and a Thanksgiving Day run. 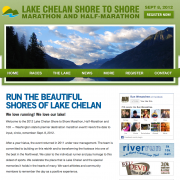 On Sept. 12, the 14th-annual Lake Chelan Shore to Shore Marathon, Half-Marathon and 10K will unfold at the famed lake. The event has been described by Runner’s World magazine as one of the country’s most scenic races. Last year’s race attracted about 600 participants. The untimed and non-competitive Dark Side Festival Trail Run will be held Sept. 26 at Mission Ridge Ski and Board Resort 13 miles from Wenatchee. The evening festival features the trail run as well as a mountain bike ride, hike, live music, food and beer garden. On Oct. 18, the Volyn Law Wenatchee Valley Trail Run Series concludes with the Oktoberfest Pumpkin 10-Mile and 8K Trail Runs at Leavenworth Ski Hill. This event was previously called the Bavarian Battle Trail Run and held in late June. Finally, on Nov. 26, the eighth-annual Turkey on the Run 12K, 5K and Kids Race will take place at Rotary Park in Wenatchee. Over the past few years, Turkey on the Run has grown to become the Wenatchee area’s second largest running event, behind only the Wenatchee Marathon. 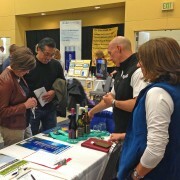 Participants can register for each of the races by visiting www.runwenatchee.com. 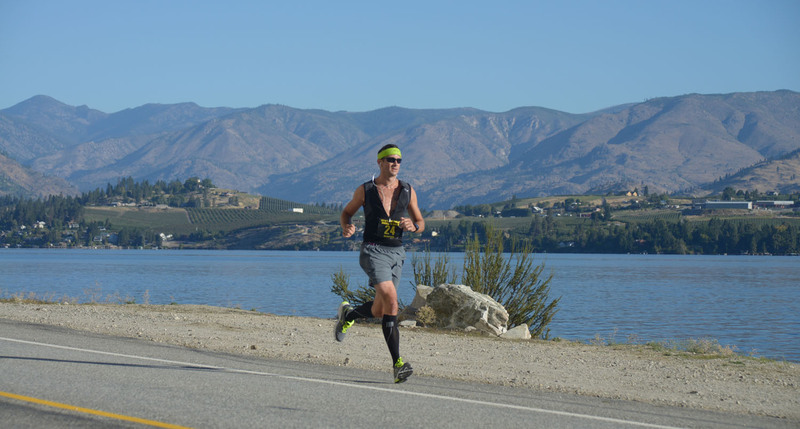 The Lake Chelan Shore to Shore Marathon, Half-Marathon and 10K utilizes courses that incorporate both the south and north sides of this world-famous lake.